We are a leading Manufacturer of medical pathological microscopes advanced and medical pathological microscopes from Ambala, India. We are involved in offering a vast collection of Medical Pathological Microscopes Advanced that is used in various industries. These products are manufactured using quality proven raw material that is procured from the reliable vendor of the market. Owing to this, these products are assured to provide best performance for a longer time period with accuracy. Apart from this, our clients can avail these products at economical price range. 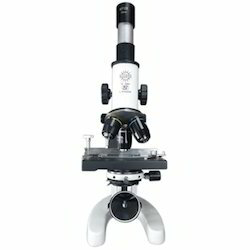 We are a trustworthy firm in the industry in offering a wide assortment of Medical Pathological Microscopes in the market. Offered products are manufactured in accordance with the defined industry norms using supreme quality basic components. These products are tested on all the quality parameters to deliver the qualitative range to our clients.